Be Better Studios is a design studio and collaborative specializing in visual communications and sound design. The studio was built on a love of modern business and a belief that good design could always be better. Partners, Amy Richard and Ethan Sager bring with them over 11 years of experience in graphic design, web programming and sound design. Their continued enthusiasm and integrated approach to collaborative creative work means clients experience a seamless partnership. Their work background includes web design and development, identities and branding, high-end academic admissions materials, annual reports, environmental graphic design and packaging. At this time, Be Better Studios is looking to establish client connections, build lasting relationships and exercise their collective drive to produce top-quality work. 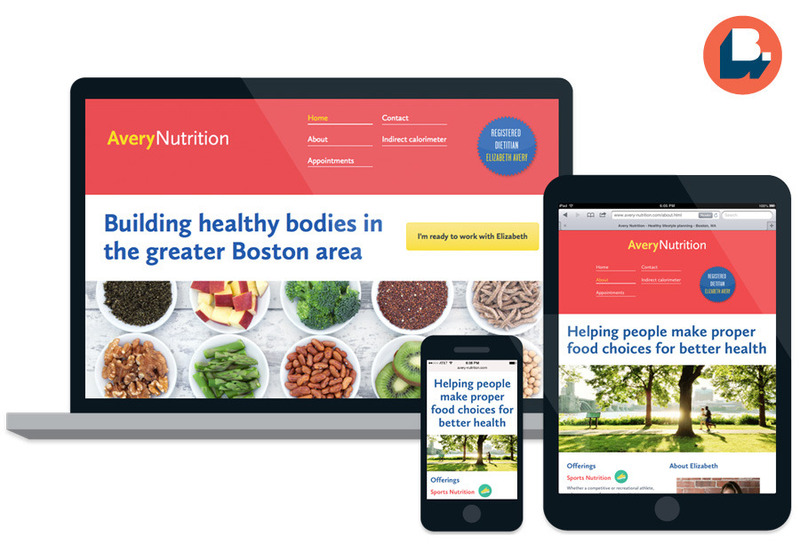 Avery Nutrition specializes in sports, oncology, cardiovascular and general wellness nutrition, as well as weight management and nutrition support. This simple starter site delivers a healthy look and feel and uses responsive design techniques to provide a consistent experience across all mobile devices.